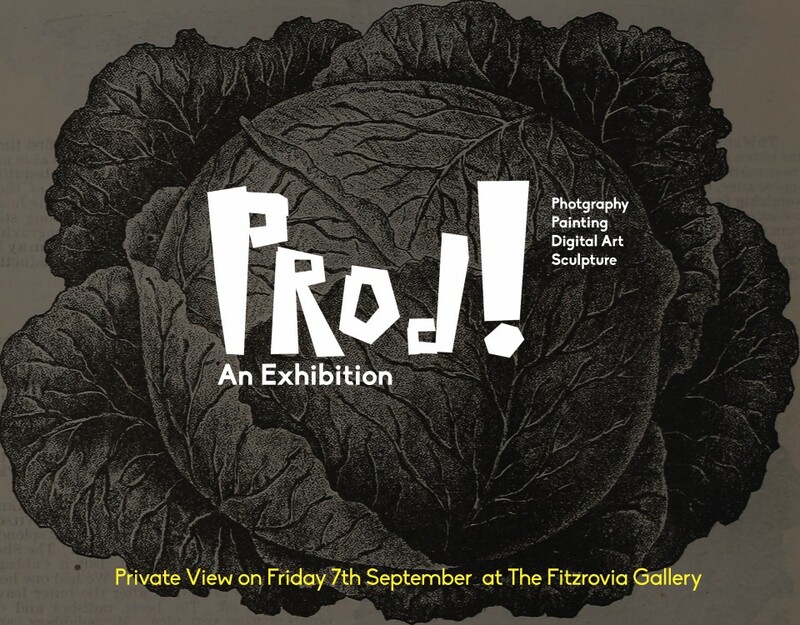 Private view 7 September 6 – 8.30pm. The Fitzrovia Gallery is pleased to present Prod!, an exhibition of four artists working in different media. Sam Green, Jess Parnell, PavPav and Per Gustafsson share an approach of their artistic practices as an ongoing process of production, devoid of completion. As a collective, they display the rich and complex variety of creative production, raising questions about strive for perfection that guides both individual identity and design in modern society. For further information on the exhibition check out Prod.me.uk. The exhibition is open by appointment, please contact Sam Green on samsplace@live.co.uk. 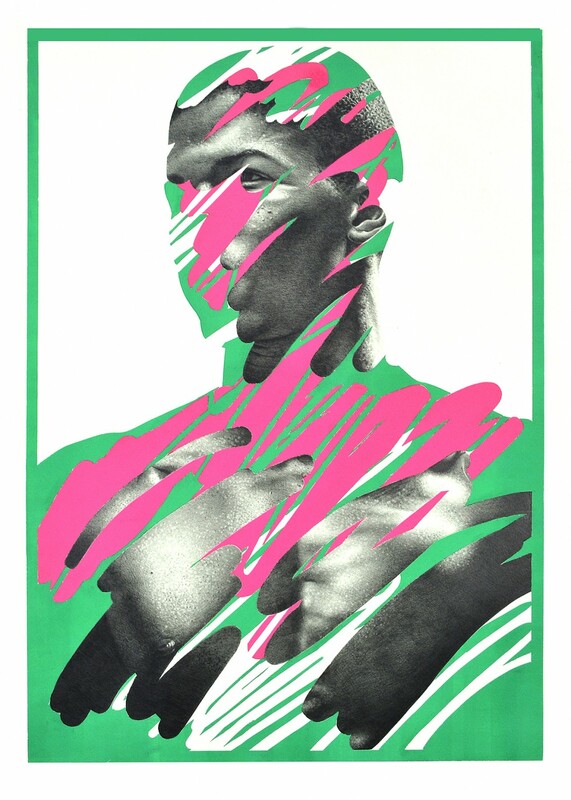 Sam Green is a professional illustrator and artist living in Hackney, London. Sam graduated from Central St Martins with a Master’s degree in Communication Design in 2005 and has since then worked for among others The New York Times, Esquire Magazine, Orion Books, Random House, Wallpaper Magazine, The Verge Magazine, Bloomberg Market Magazine, The Times, The New Statesman, Wired Magazine, Fallon, Lucas Arts, Frank Ocean and Jennifer Lopez. As an artist, Sam mainly creates mixed media pieces on paper, using pencil and painting techniques. By carefully balancing abstraction and figurative representation, Sam shifts the viewer’s attention away from the obvious and calls for an appreciation of the various surfaces that come together on the sheet. He uses digital tools to create the image, which is then transferred to paper by hand in an exact manner. Replacing the function of the printer, the artist is also seeking out the rewards of imperfections which are innate to manual rendering. Exploring human anatomy and portraiture, Sam includes elements of photo-realism which are broken off with bold colours and geometric shapes. Jessica Parnell is an art therapist and ceramicist based in south-west England, combining traditional and modern craft techniques. 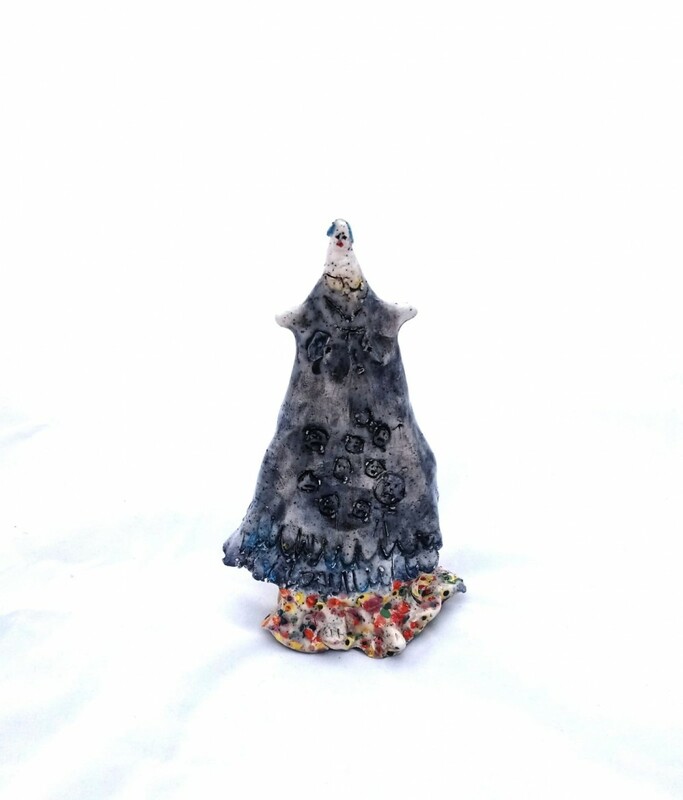 She takes her inspiration from folk art and outsider artists that she meets through her profession, making sculptural objects that are both humorous and poignantly obscure. Her subjects – figures, mythical creatures, ambiguous lifeforms, inanimate objects such as sunglasses and foods – are characterised by surface unevenness and disproportions. These imperfections are intentional and purposefully naïve, unrefined and raw. Jessica’s most recent and ongoing project is a series of ceramic sunglasses, re-enforcing the notion that these have become a sculptural and largely dysfunctional object, losing their intended function of protecting our eyes from the sun. Sunglasses have been instrumental in popular culture to mask or create new identities. Made from perfectly moulded and shiny plastic, sunglasses are ubiquitous consumer goods and fetishized by celebrities; a symbol of ‘cool’. Jessica’s shades, on the contrary, are never the same and do not represent symmetry or perfection. Rather, they are about transparency and vulnerability. Larger than the average pair and inevitably imposing, they are imbued with a theatrical sensibility and extravagance associated with stage-personas such as Elton John and Dame Edna. Very different from these, identity-boosting accessories, Jessica’s glasses are expressions of the artist’s view of the world as a continuous battle between good and bad. Per Gustafsson is a digital artist and designer based in Sweden. An early practitioner of digital art, he started out using limited software and gradually invented techniques that paved the way for fresh and exciting imagery. His creative output gained attention in the mid 90’s and placed him among the pioneers behind manually rendered digital imagery. Prior to this, computer-users had relieved heavily upon automated programming which capped the creative input. Since then, Per has continued these efforts, expanding his technical skills whilst staying true to an aesthetics he describes as abstract expressionism. His work explores enigmatic visions that often take on a hallucinatory quality, deceiving and enthralling the viewer at once. 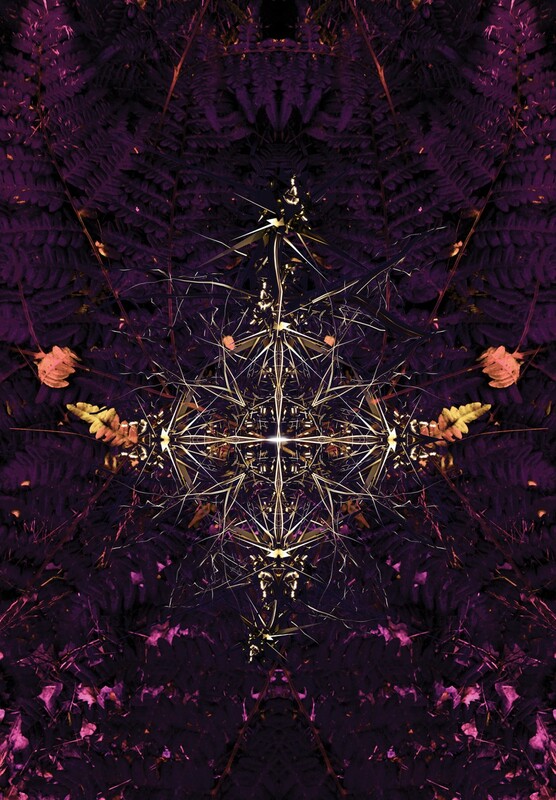 Symmetry, inspired by morphological patterns found in nature, recurs in Per’s imagery. The symmetry, however, is almost always interrupted by an intentional imperfection – a method known as Zelige in Moroccan pattern making, where a flaw is inserted in respect of the belief that only Allah is capable of perfection. To the artist, these defects serve as a reminder of the importance of human interaction in a largely digitalized world. PavPav (Pavel Sergeevich Ivanov) is a 26-year-old, London-based artist born in Karaganda. A CMD by profession, with over twenty years’ experience in the advertising field, Pav has a long-standing relationship with imagery and communication channels. Eight years ago, he transferred his skills to an artistic practice and manifested ‘pavpav’, a creature he has since then nourished, elaborated and most recently exploited via long-exposure photography (Chronographs). A vehicle for personal expression, pavpav pokes and pinches as much as it records. 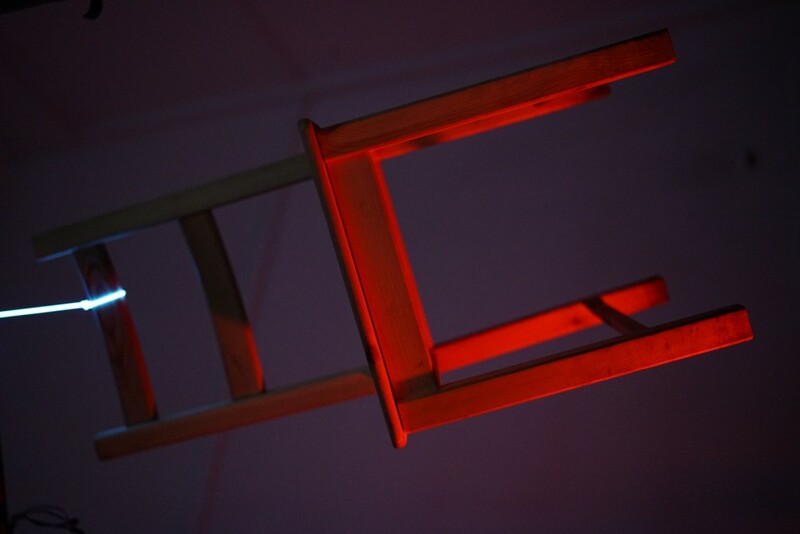 Chair Suicide (Assisted), the artist ongoing project, explores questions that should be provoked to be asked, from tree-form to hanging life short by suicide, including the surrounding buzz of probability and human life. A Kierkegaardian celebration of reason rests over the series, contrasting the organic thrill of gambling with the sheer free-range determination. Jessica Parnell, Detail from ‘The Opposite of Death is Desire’. Ceramic Earthenware, 2018.